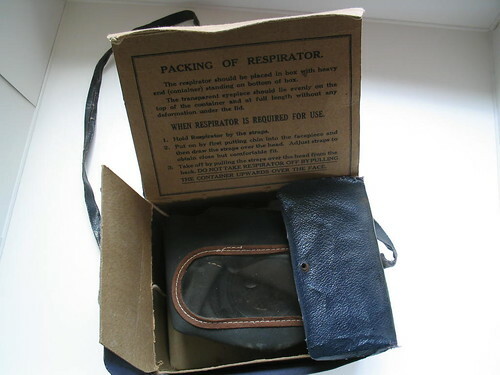 Gas masks (also called respirators) protected people from poison gas attacks which Britain feared the Germans would carry out. They were made of black rubber and contained a filter to clean the air which was breathed in. Mustard gas was the most deadly gas available – it couldn't be smelt easily and took 12 hours to take effect. 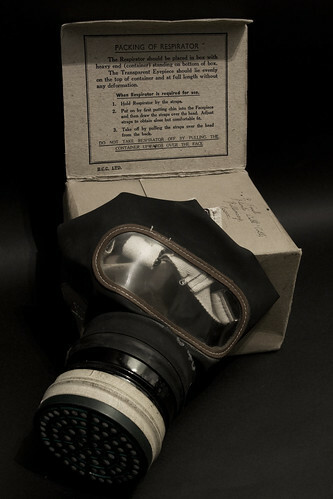 By the end of September 1939, 38 million gas masks had been handed out by the government. People had to carry them wherever they went in a cardboard box and they would be fined if caught without it. 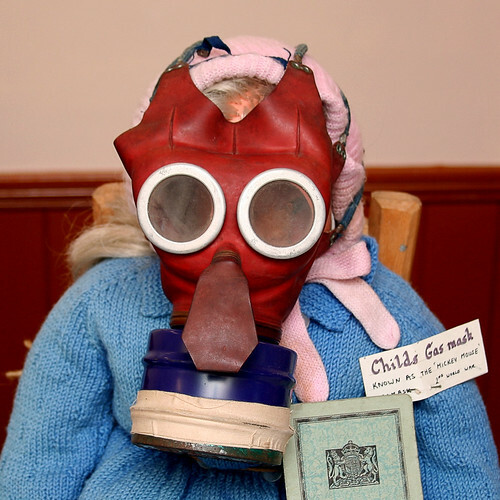 The special children’s gas mask was nicknamed ‘Mickey Mouse’ and in school, they would regularly practice putting them on. To indicate danger, a gas rattle would sound and the tops of pillar boxes were coated in a special paint that would change colour when poison gas was around. Fortunately however, no poison gas bombs were dropped on Britain during the war.